Thanks to two centuries of "additive" history, a vocabulary of varying ridges and rooflines define this distinguished home. Previously, outside the kitchen door a constellation of toys, bagged refuse, bikes and gear orbited about. 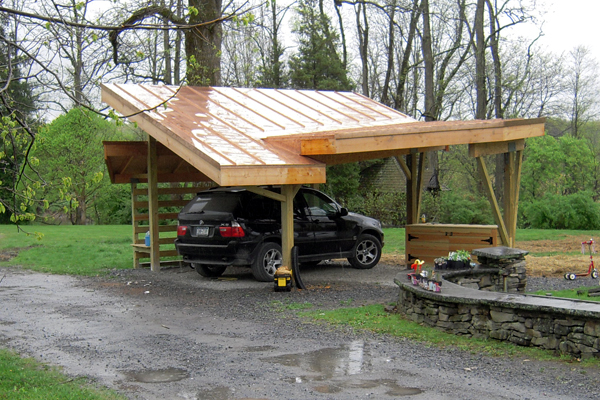 This solution anchors these tranistory elements while providing a shelter for the car. 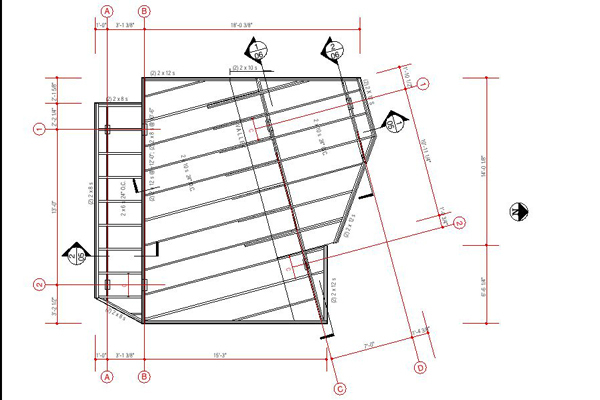 The design responds to the folded geometry of the house and the regulating-lines of the site.